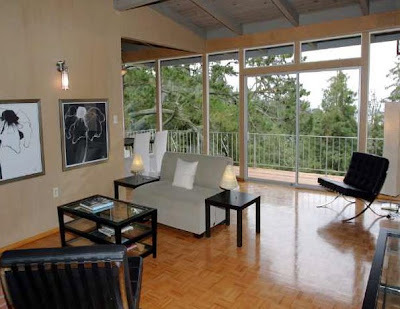 Are you yearning for a swanky mid-century home, with expansive panoramic views, perfect for a shindig? This home on Keith Avenue in Berkeley is just perfect for a cool new owner. This is my favorite home from last Thursday's Broker's Tour. 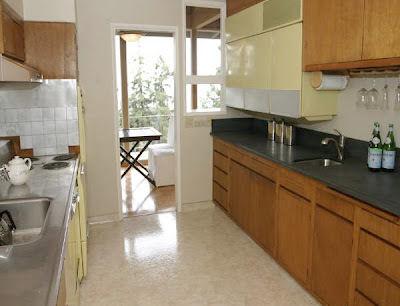 I LOVE the original turquoise pedestal sink and hung toilet, and lemon yellow kitchen appliances. Have you ever seen hanging refrigerators? ...and you have to love the floor to ceiling windows. If you would like a private showing of this piece of art property, send me an email.